Time to add lots of colors to your Embroidery Thread Stash. 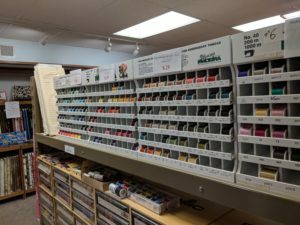 New pricing has been announced on Machine Embroidery Thread as part of the Going Out Of Business Sale at Prairieland Quilts. Other sizes of Machine Embroidery Thread are priced just as attractive that you can add a variety of color to that stash without a lot of cost. Don’t forget that Prairieland Quilts last day will be July 14, 2018. Shop now and save.